Unicoi State Park offers outstanding outdoor adventures in the heart of the North Georgia mountains. 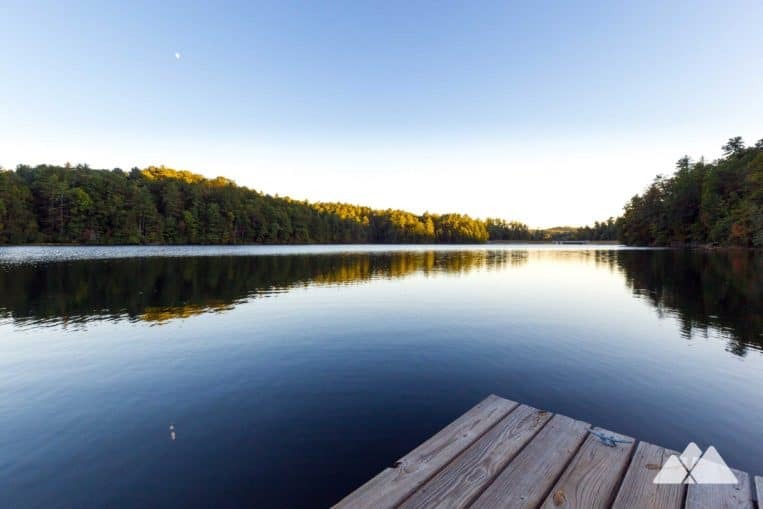 Explore miles of hiking and biking trails, paddle the calm waters of Unicoi Lake, zip line through the lush forest canopy, or just relax in one of the park’s renovated cabins or beautiful campsites. 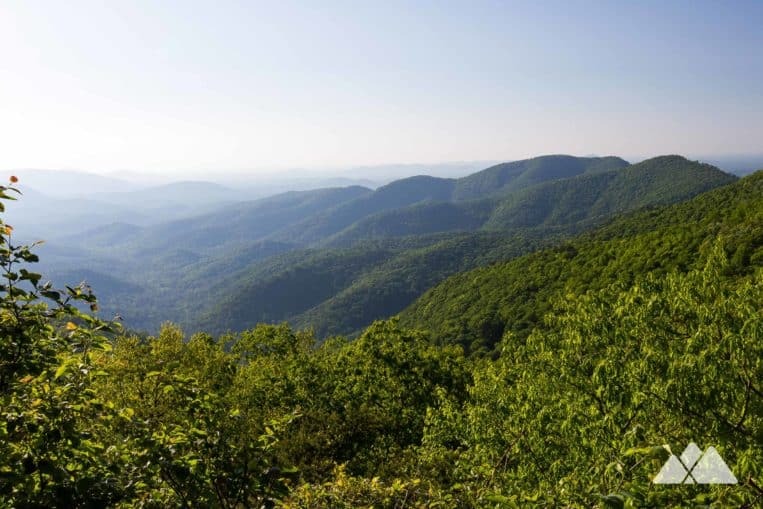 Nestled in a scenic section of the Chattahoochee National Forest, Unicoi State Park offers more than 1,000 acres of prime outdoor recreation. 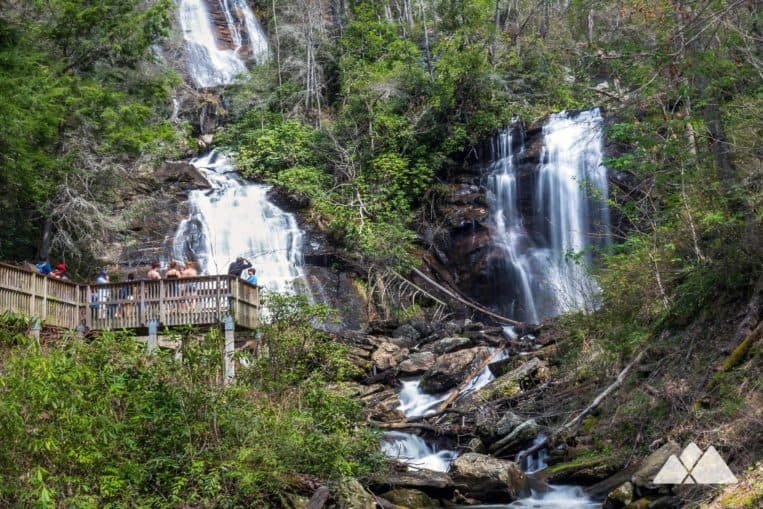 Explore historic vestiges from Georgia’s gold mining days on the Smith Creek Trail and visit the stunning cascades of Anna Ruby Falls. Hike along the quiet shoreline of Unicoi Lake to beautiful views of the park’s mountain-framed lake. Rent kayaks, canoes, or paddle boards for fun and adventure on the water. Take a thrilling canopy tour by zip line or explore remote sections of the park by mountain bike. Or relax in one of the park’s newly renovated cabin, or enjoy a night under the stars in the extensive campgrounds. The surrounding mountains are home to some of our favorite hiking trails, gorgeous waterfalls, and shady creek valleys. Hike to outstanding views from rocky outcrops on the Appalachian Trail at Preachers Rock. 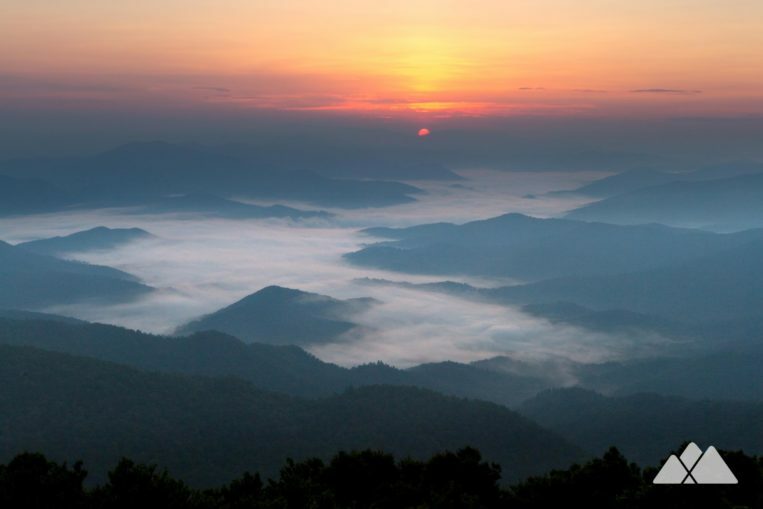 Grab unbelievable sunrise views from Brasstown Bald, Georgia’s highest peak. And visit some of the most beautiful waterfalls near Helen, the nearby alpine town. Lace up your boots and hit the trail! 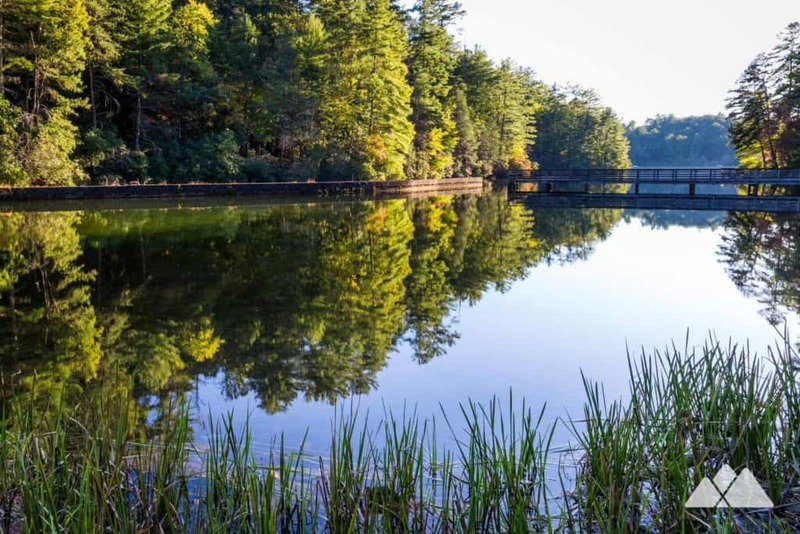 This scenic state park is home to some fantastic hiking adventures, including a hike to a nearby double waterfall and along the shores of the park’s placid lake. 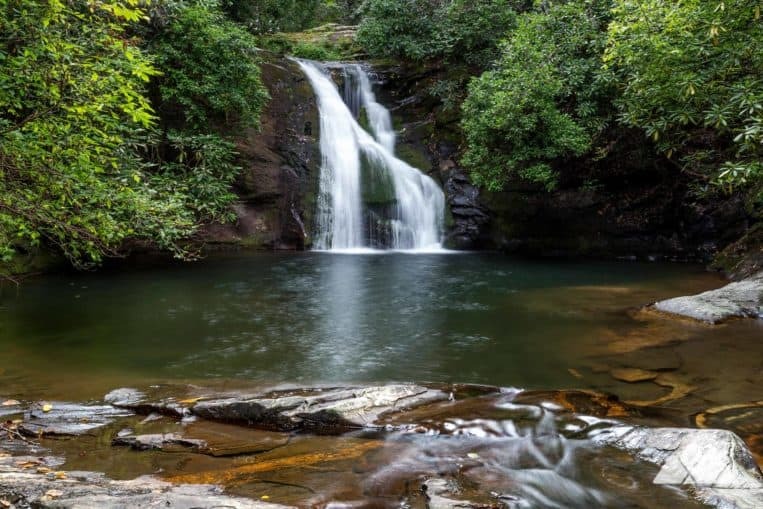 Hike along a historic gold mining ditch and through a classic North Georgia forest on this scenic back route to a pair of towering twin waterfalls. The Smith Creek Trail follows the Sautee Ditch through a forest filled with towering hardwood trees, ferns, and shallow creeks. And while the Smith Creek Trail is considerably longer and more difficult than the paved Anna Ruby Falls Trail, it offers a bit of quiet tranquility away from the often-busy shorter route to the falls. Explore the banks of the park’s glassy lake on the beginner-friendly Lake Trail. The trail dips and weaves along the shoreline of the lake, catching outstanding water views for much of the hike, and visits several fishing docks and a sandy swim beach. The lake is also a popular destination for kayaking, canoeing, and stand-up paddleboarding during warm weather months. This ultra-scenic section of the Appalachian Trail has long been one of our favorite day hikes. The trek to the near-summit of Big Cedar Mountain explores a beautiful swath of forest with multiple rocky overlooks along the way. The large, sun-drenched rock outcrop at Preachers Rock offers stunning long range views of the surrounding weathered peaks of the Blue Ridge Mountains. Hike to the summit of Georgia’s tallest peak and score 360-degree views. It’s a short but steep climb through a dense forest of moss and gnarly rhododendron, but the views at Brasstown Bald summit are so worth the effort. The platform around the historic fire lookout tower at the top offers one of our state’s most impressive vistas. It’s a favorite spot to catch a gorgeous North Georgia sunrise, too. Explore two stunning waterfalls on a single trail! This hike explores a lush, mossy creek valley near Helen and visits two of North Georgia’s most beautiful waterfalls. The trail descends through towering old-growth trees and mountain laurel to the base of Blue Hole Falls. After soaking up the view, the adventure continues the descent, reaching the multi-tiered cascades of High Shoals Falls. The Adventure Lodge at Unicoi State Park offers plenty of off-trail adventures and activities as well. Zip through the lofty canopy on one of the park’s 19 zip lines to experience tree-top views of the lake and surrounding forest on a fast-paced adrenaline-filled adventure. Or explore the park by mountain bike. The park’s eight-mile, bike-only loop explores rugged mountain terrain, scenic overlooks, beautiful woodlands, and grassy fields. For on-water fun, Unicoi Lake is the place to be. Unicoi Beach offers a great place to play in the cool water and beat Georgia’s summer heat. And the lake’s 53-acres provides plenty of places to explore by canoe, kayak, and pedal boat, available for rent. One of our favorite water activities is stand-up paddle boarding (SUP). It’s a great way to get in a workout while exploring the lake from a different vantage point. The park offers SUP lessons, equipment rentals, and guided tours of the lake. With so much to do and explore, why not stay a night or two? The park offers a variety of accommodations, from comfy cabins to hotel rooms at Unicoi Lodge, and campsites complete with comfort stations and RV hookups. 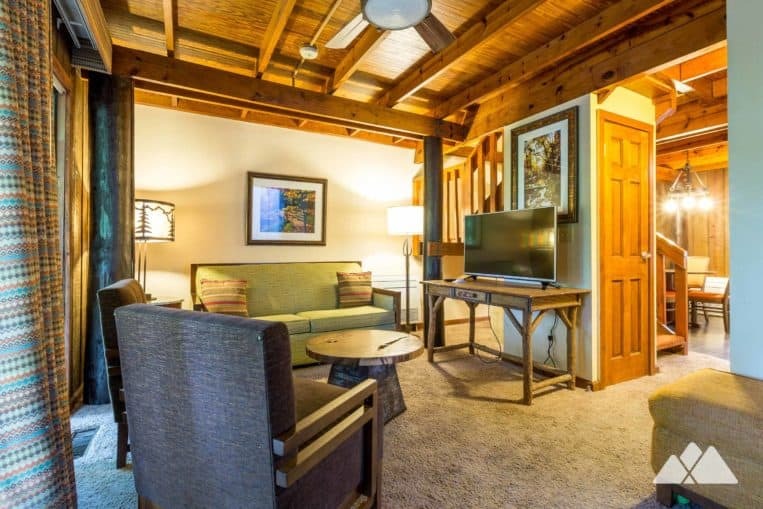 One of our favorite places to stay at the park is in the renovated barrel cabins. Tucked into the hillside near the lake, the unique cabins feature cool retro-inspired decor, comfy beds and linens, fully equipped kitchens, and spacious bathrooms. Each cabin also features a generously sized deck with through-the-tree views of the glassy lake. The park’s campsites are a great place to crash for a night – or a week of North Georgia adventure. Primitive walk-in tent and hammock campsites, RV sites with full hookups, and tent camping sites with water and electric are available at the park’s campground.